How Is Celtic Astrology Different? I’d like to welcome you to my new horoscope site. My name is Angharad Reese, born in West Wales and trained over many years in the disciplines of Ogham horoscope forecasting. I am fairly well known in my part of the country and have maintained a professional career of, I venture, a reasonable success due to my personal client base. More recently I have been keen to expand the profile of this astrological form by bringing its intrigue and insight to the internet. I have myself drawn many times on the insights provided by my forecasting and analysis, several times at very dark points in my life. My wish now is to open your eyes to this form of astrological and horoscope interpretation. This Welsh practice is an astrological method practised by ancient Welsh druids and based on Celtic tree signs. As described in old Welsh manuscripts, it’s based on the Welsh/Irish Symbol system but NOT on other traditional systems like the Western, Vedic or Chinese astrology. Welsh druid astrological history has itself drawn on Irish roots as a basis for its form and structure and this has lead to the unique Celt Zodiac used in this type of forecasting. The druids were ancient priests who occupied a large area of Western Europe, Ireland, and Britain until they were displaced by an invading Roman regime and, later, by the arrival of Christianity. The Celtic Astrology Calendar is drawn from Druid beliefs and is centred on the moon cycles. In fact, one of the earliest forms of Astrological analysis was first practised by Druids. Their astrological system divided the year into thirteen lunar months, each representing a tree. The trees are sacred to druids and possess magical qualities and secret mysteries which emanate from the historical shamanic alphabet, the Ogham. The origin of their alphabet is attributed to the poetry of the God of Ireland, Ogham (also known as the Herkules). The Celts saw the universe as a tree whose roots grew deep, and branches stretched out towards the heavens. The Druids believed the whole race of humans were descended from trees. They encoded these mysteries into the Ogham alphabet. The Druid religion was mainly based on the awareness of natural and supernatural energies. The energies were associated with spirits and the Celts believed that these spirits were given to trees, which resided within and were alleged as attributes of the Supreme Being. Thus, the principles behind this type of forecasting were born. As a result, trees were deemed as living entities, possessed with immeasurable knowledge and Wisdom. These symbolically represented the Life, Death, and Renewal Cycle, and symbolically connected with the three planes of existence: mind, body, and soul. To Christians, it demonstrated the vital core of Christianity belief that God is the father, the son and the Holy Spirit. For both beliefs, the Knot of Trinity signified the way in which the 3 separate essences were interconnected. These societies were grounded upon the parity and balance between the male and female, with the female Druidess being signified by the Spirits living in the sacred trees. Each sign resembles a given tree, a letter of the Ogham alphabet, Guardian Animal, God, and other items like Gemstones. Some prominent scholars noticed that Celt practices had some resemblance to Vedic practice. They revealed that prehistoric Celt astrologers and the Vedic astrologers relied on intriguingly similar systems. Latin and Greek authors described the fact that Celts weren’t only astronomically advanced but were also respected, mostly by Greeks, for “speculation from the stars". Even the Romans honoured their astrological knowledge with some classical writers going deep in saying that the Celts were astronomy masters. The first to recognise that the early Celts believed that the world was round was Martial (40 – 103 c.AD), who claimed Celtic ancestry himself. The Welsh line has an extensive tradition of astrological knowledge that stretches back to the times before the introduction of Christianity, and Latin and Greek learning. This rich astrological tradition has now been dejectedly neglected. Welsh astrology is concerned with bringing the Symbolism awareness that the Druids used in forming an astrological system. The presence of an ancient system like this inspires a deep discussion among researchers. Some claim that there was no such thing, while others consult references made in prehistoric Welsh writings. Others refer to early Greek text recognising the cultures achievements in astronomy as evidence that a prehistoric astrological system once existed. It is documented that the astrological work practiced between the 12th and 17th centuries by the Welsh also drew upon a form of Arabic star divination. Celt tree astrological study, as referred to today, was made by the great poet Robert Graves in his book, ‘The White Goddess’ (distributed in 1946). As indicated by Graves, the lunar calendar containing 13 months was the foundation of Welsh astrological practice. Graves’ Celtic Astrology book conceived another new form usually approved by the general population as the prehistoric form. Scholars assert that his tree zodiac is a distortion of early Celt belief systems. You must choose for yourself if Graves’ version has value. In Celt astrology (Druid) symbolism, the moon signifies the subconscious mind and concealed matters while the sun signifies the conscious mind. The moon is the source of the subliminal mind where true facts of past lives dwell. Utilizing the lunar calendar, this form of astrology opens up your past life memories and other concealed secrets. To unlock Celtic astrology tree sign mysteries, it is crucial for you to comprehend the 2 premises of Druid spirituality – restoration and cellular memory. By opening up past life information, you can then build upon the knowledge you have accumulated from numerous lifetimes. At its heart, this Astrology is based on Druidism that regards nature and your place in the world. Like other tribal societies, these people dwelled in harmony with nature. They believed in energy and that all living matter contained energy. This conviction extended past the physical world into the supernatural world. Druidism advocated the ideology of creating harmony between alternate extremes. This unity is symbolized by the linking of male and female energies. This form of analysis hides its light under a bushel and I hope after visiting my site that you enjoy understanding more about it. 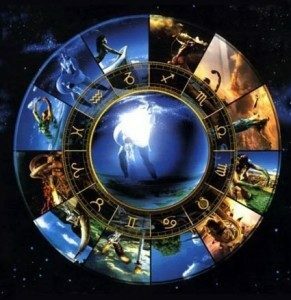 The zodiac is a beautiful thing and I have been very fortunate in receiving its embrace from a very early age. I have as a result been able to spend much of my life in pursuing an understanding of it and what it may offer us in terms of insight into our daily lives. The Horoscopes presented on my site are formulated from information arising from Tree sign analysis (for example, Tree sign Rowan January, Tree Sign Birch December etc). These analysis calculations are then matched to traditional western astrological periods thereby matching traditional zodiac symbology. I have taken this approach in order that the broader public may better accept these sign characteristics as familiar. Please enjoy your visit, discover your zodiac sign and learn a little more about the wonderful world of Celtic Astrology. I wish you many good things for the coming year. I am often asked if I could present my Celtic analyses as more ‘traditional’ horoscope summaries. Celtic and traditional western astrology both have many different factors – some similar and complimentary, others quite different. Due to demand, I have attempted to interpret my analyses into the more traditional form.